I want to share with you a technique for adding half-square triangles to a block. This technique is a little more precise, I think. Adding half-square triangles is what makes a snowball block and true lovers knot and bow-tie blocks what they are. Step one, cut the corner off the main block. How far to cut depends on the size of triangle you are adding to the corner. 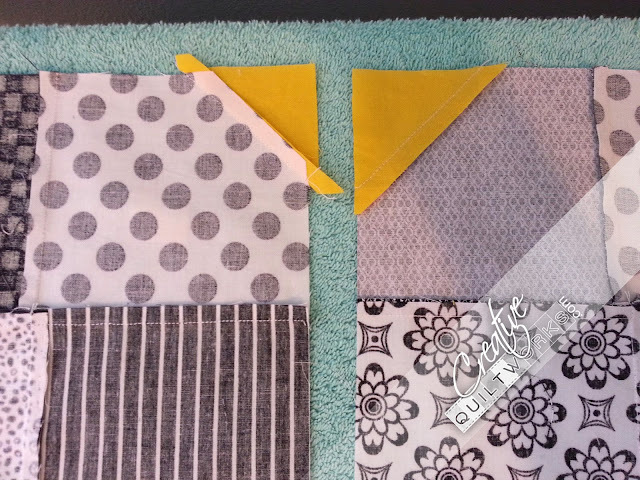 You might need to play around with this by putting the corner block or half square triangle on the main block and folding until you know where the cutting line should be. After you know where to cut, cut all the corners off the main blocks the same size. I position the block on my cutting mat so I can use the diagonal line that is printed on the cutting mat as my guide. 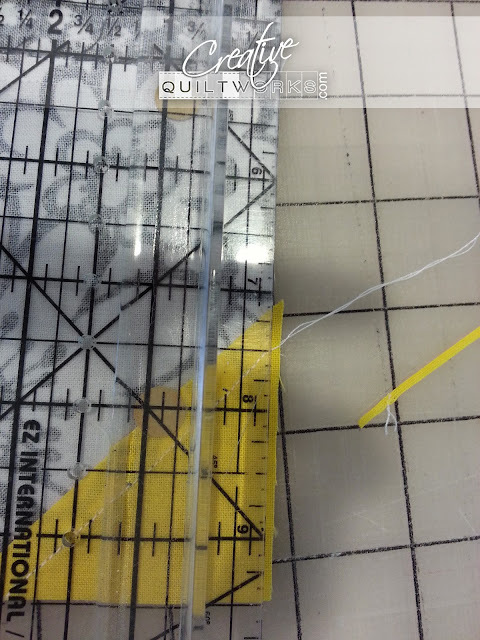 I use masking tape to mark the corners of the uncut block so that positioning does not require multiple measuring. Step two, I cut the corner triangles or blocks 1/4 inch larger than required. This allows for squaring up after sewing. I cut the blocks in half at this point so I can put it all together precisely. See picture below. Then, sew with a 1/4 inch seam. Flip and press. 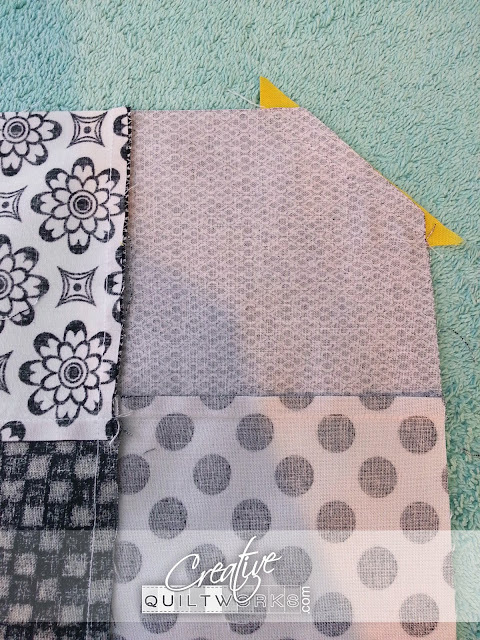 I press toward the darker fabric. In this case, it allows nesting of the seams and distributes the bulk nicely. However, pressing like this, makes stitch in the ditch impossible. 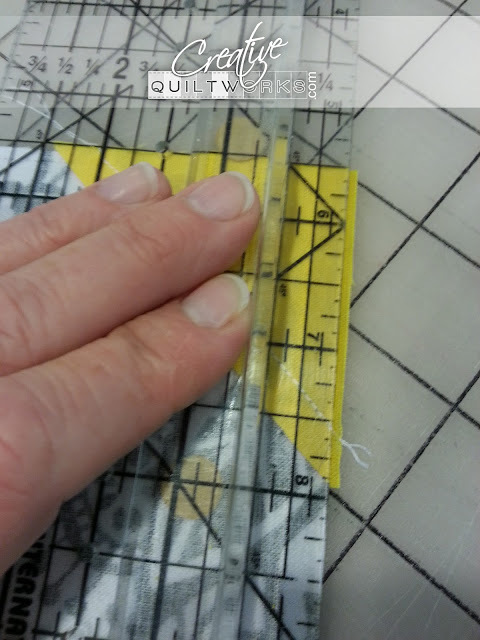 So, if you want stitch in the ditch, press all seams either toward or away from the triangle. 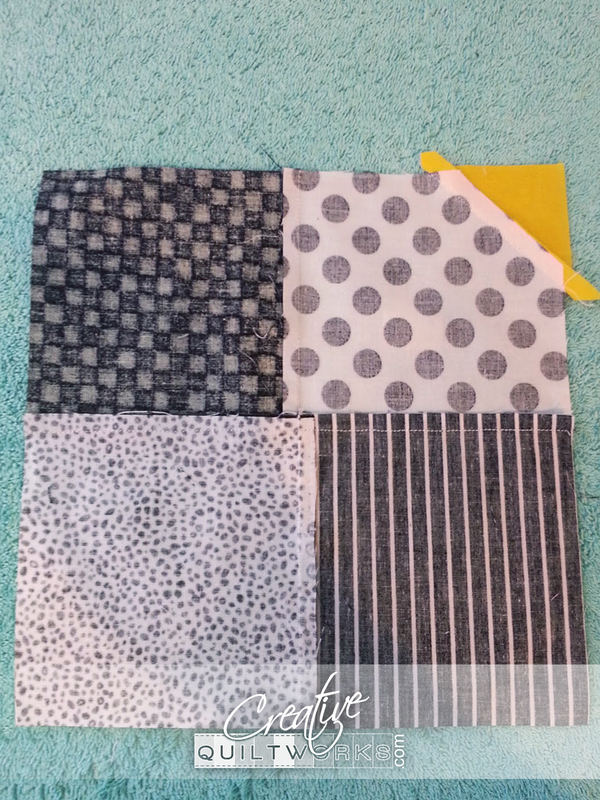 Then I trim the block to square. 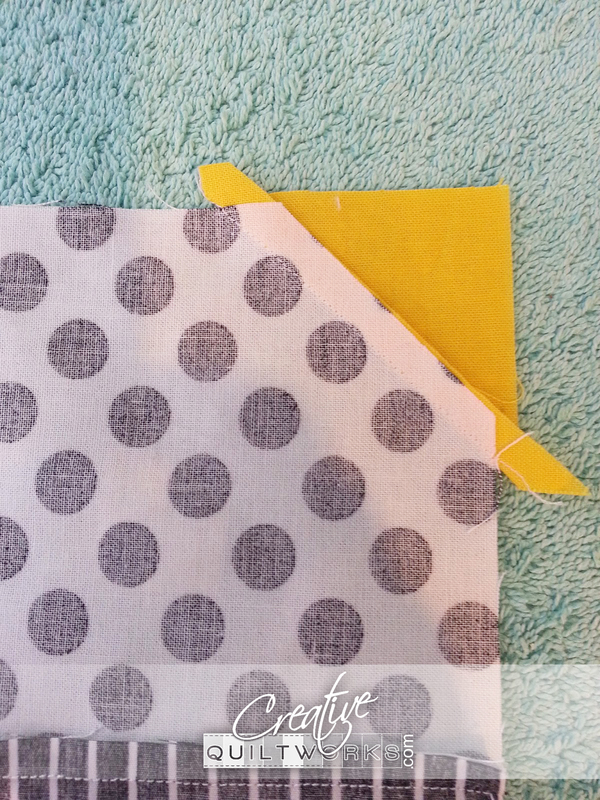 This takes off the extra fabric and fixes any wonkiness caused by working with the bias edges. I hope this helps you have more precise half square corners on your snowball, bow-tie and true loves knot blocks.